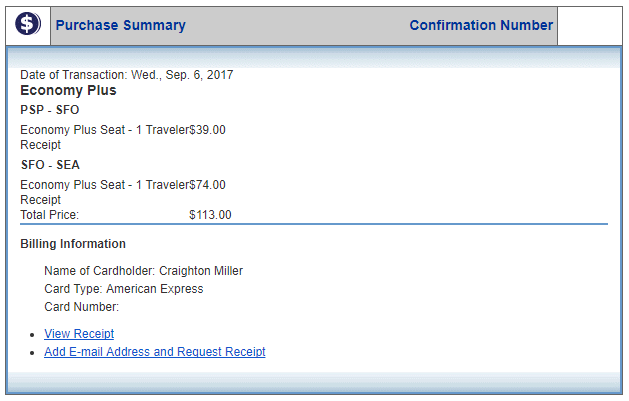 With everything going on with United in the news lately I felt like it was time to revisit the airline as I haven’t flown them in over 5 years, plus the tickets I wanted were pretty cheap. Being northwest-based my primary airline of choice has been Alaska, most of the times they’re the cheapest and offer great service, other times they’re more expensive that others out there. 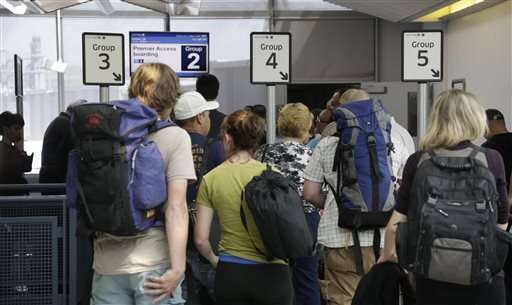 In today’s world it’s all about ticket price and how cheap you can get your flight ticket. My experience booking my ticket was straight forward. I needed to fly back from Palm Springs to Seattle and upon searching United was offering some reasonably priced tickets in Economy Plus so I jumped on the opportunity to try United again. Like most airlines United charges their premium tickets depending on which row you pick, for me it was $35 to upgrade from the back of the plane to the third row behind first class with the extra leg room. As I’ve said before I’m a tall guy and the extra four inches of leg room really helps on most flights. Fortunately for me I usually only travel with a carry-on so I was able to do online check-in and bring up my boarding pass on my phone. Arriving at the airport I went straight to TSA Pre✓ and went through security and of course I got picked for extra screening. My electronics were taken and swabbed and came back clean, adding about an extra 10 minutes to my transit through security. Once at my gate after stopping by the Centurion Lounge I found the boarding process to be very cleanly arranged. United boards by group numbers from one to five, they had a separate line for each boarding group. I arrived just in time to step into group three and boarding started. Once on-board it was smooth finding my seat and putting my bags up. The extra leg space allowed me to slip past someone already sitting in a seat without them having to get up. United offers 18-inch wide seats with 34-inches of pitch. I was able to fully stick my legs under the seat in-front of me and stretch out. Like all major carriers that are retrofitting their airplanes this newly refreshed plane has Recaro slimline seats. 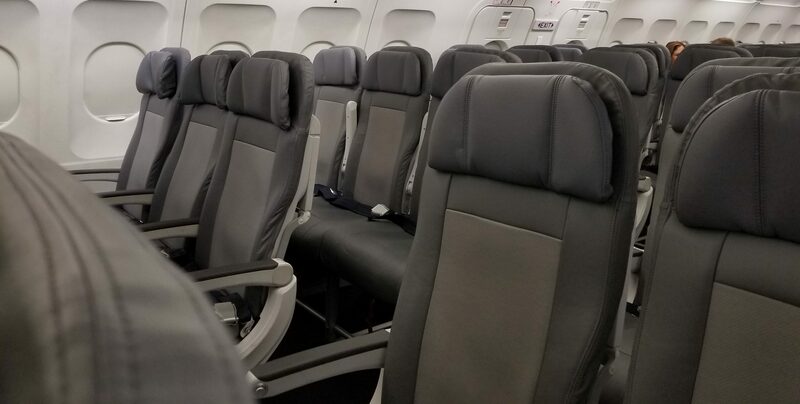 For even Economy Plus seats they are pretty still in the padding area. I usually like myself a nice soft seat that I can sink into and relax, these seats from my experience have been nothing but hard padding. I do enjoy the adjustable headrest that allows me to lay my head back and be supported which is nice. With 34 inches of leg room it’s perfect for someone of my height. The seat is great for short-haul flights but my behind would quickly start to hurt on any long haul leg. 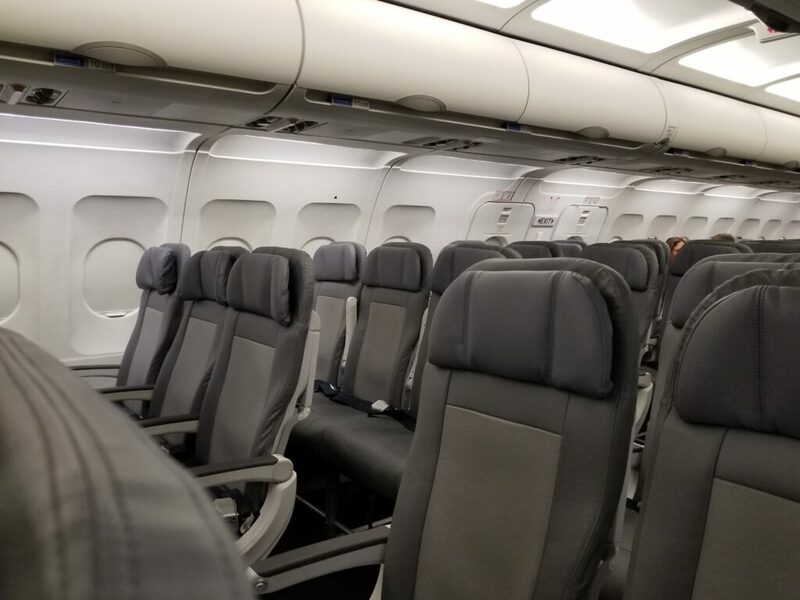 While it was nice to get Group 3 boarding right after First Class and Premium members, that was the only perks you really got from United for upgrading to Economy Plus. 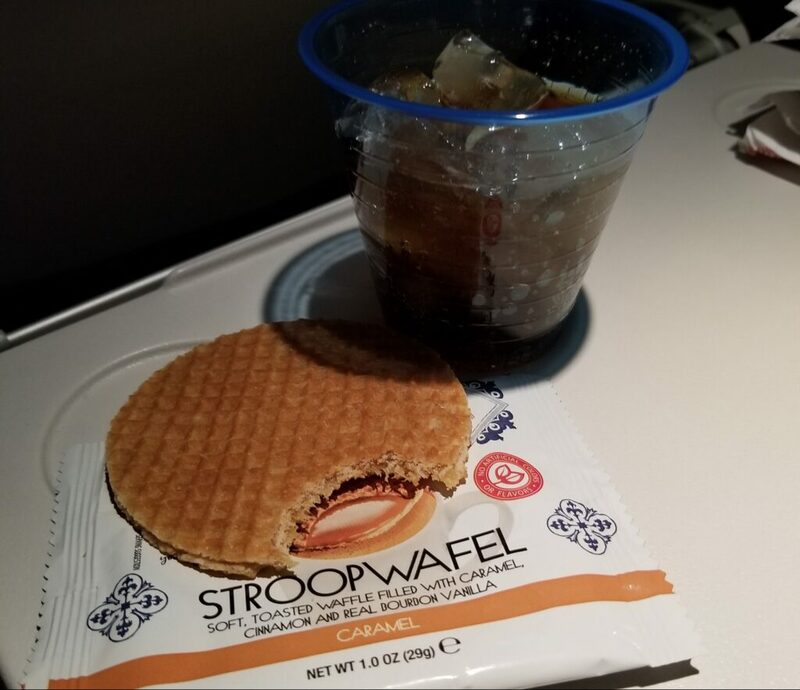 Our on-board service included nuts (Stroopwafel during morning flights) and free soft drinks with paid alcoholic drinks, all nothing different from you would get with this paid upgrade that could cost you up to $100. It was pretty disappointing not seeing me really get my money’s worth for the upgrade. On my flight I tried the satellite based wifi and it was nothing short of deplorable. It crashed many times as I was trying to purchase it. With my speed tests it was extremely slow and took ages to load simple webpages. 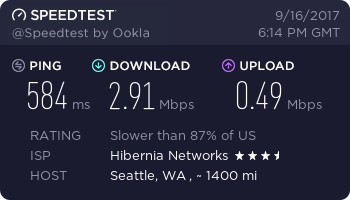 I’ve experienced faster internet on other airlines but with airplane internet it’s pretty hit or miss depending on the day and atmospheric conditions. Because of all the work that I was trying to complete during my flight it was better than nothing and kept me connected while I was in the air. Overall the seat and service weren’t outstanding but it was much better than basic economy. The added seat pitch is fantastic for tall people who hate with their knees bump up against the seat in front of them. Especially with United the early boarding means you can find some overhead bin space to put your carry on. On my particular flight all the bin space ended up getting filled up, like most other flights, and many people had to gate check their bags. For most people it’s all about the small things that make the flight less of a hassle and Economy Plus can offer that. For me it’ll be a strong consideration when I’m flying Economy on United, with the variable pricing of seats it’ll depend how expensive they are to upgrade to. Overall the seat and service weren’t outstanding but it was much better than basic economy.